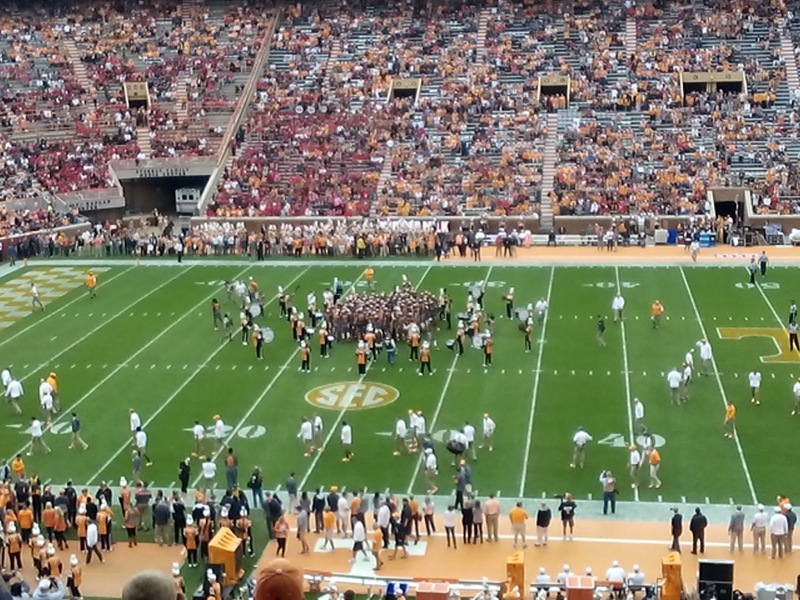 Knox Gun Guy: Can SEC coaches suspend a Constitutional Right? A decade ago, in the aftermath of Katrina, the City of New Orleans violated both the 2nd and 4th Amendment rights of their citizens by confiscating lawfully owned firearms. You may remember THIS video from that time. Officials, in their officialdom, seem to have a penchant for officially banning/confiscating guns here or there, and everywhere (they can get away with it). As you see from the NOLA* video, that sometimes includes your home. In Buffalo, NY, it is from estates. In California, well let's just say they've got a lot of Goldilocks gun bans in the works. Then we learned last weekend from Jenn Jaques at Bearing Arms that some SEC football coaches have taken it upon themselves to institute a broad-based ban against firearms by student-athletes. She had picked up on a story over at the Montgomery Advertiser, Can SEC football players own a gun? Depends on each school's policy. if they had a policy regarding restrictions on their players legally owning a handgun. I've made it very clear, . . . even if they have a legal permit for it. players have to come to him and explain to him reasoning for why they need to own one. he (the student-athlete) would have to distinguish between a hunting rifle and a handgun. HISTORY 101 REMINDER TO COACH FREEZE: The Second Amendment ain't about hunting rifles. 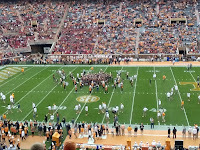 All this discussion prompted a close look at firearms policy at the University of Tennessee, Knoxville (UTK), home of the VOLS. Earlier this year, following the passage of a faculty/employee carry law in Tennessee, this column reported on the process, as well as some problems with implementation of this carry law at UTK. Although it has no direct bearing on the discussion at hand, it is an interesting precursor to this. Digging around on the UTK website revealed THIS FAQ page. Question 4 on this page provided an interesting surprise! Visitors to UT property​ This appears to include all of the general public. the firearm or ammunition is kept from ordinary observation and locked within the trunk, glove box, or interior of the individual’s motor vehicle or a container securely affixed to such motor vehicle if he/she is not in the motor vehicle. So, does this mean that anyone in the groups listed above, including students, may, on campus, keep a firearm in their private motor vehicle, as long as they have a carry permit and follow the rules outlined in this section (4). Questions have been sent to UPTD. When/if a reply is received, they will appear in a future post. some of your student-athletes are mature young adults, over 21, and the campus would do well to have those responsible adults armed. Maybe you should reconsider your universal ban for these legal adults, who have been fingerprinted, background checked, and paid a hefty fee to exercise their right. It has worked everywhere it has been tried.